The Fireplace Warehouse's solid fuel kit to suit Lytton Castings is the perfect option for those who have a Lytton-style fireplace in their home that needs some additional accessories. 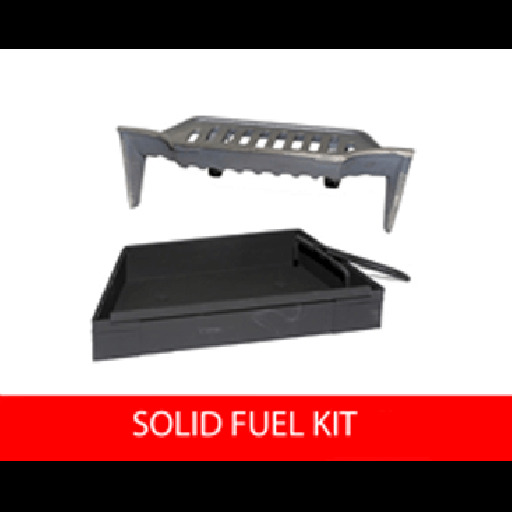 This product comes with a complete fuel kit, as well as a grate ashpan replacement. Grates have been used for centuries when it comes to designing effective ashpans for various fireplace settings, and The Fireplace Warehouse always offers superb quality pans. Lytton fireplaces are becoming more and more popular in homes across the UK due to their traditional yet exquisite design. Why not be prepared with a solid fuel kit ahead of time to be ready for the future? This particular grate ashpan comes without additional legs installed, so you don't have to struggle with continuously positioning it into the proper alignment. It's simplistic yet innovative design will allow you to easily clean it as well without any added hassle. With the solid fuel kit to suit Lytton Castings product, you will be able to enjoy your gorgeous Lytton fireplace without having to constantly worry about the messy maintenance that goes along with the upkeep of a non-reliable ashpan material.